Car packed, Map marked...can we leave yet? After days and days of prep, we are finally packed and ready to hit the road! We have spent many nights and weekends learning about recommended gear, safety precautions in bear country, packing techniques, and how to feed yourself for 3 consecutive days on dehydrated food. Who knew that getting back to nature could be so technical, not me! The process included making a really long shopping list, and researching the options for each required item. Everyday I learned something new about what is needed, and how to accomplish something in an efficient, lightweight way. We are so thankful to have great friends and family around to watch him while we are gone. Dannys cousin Ali and her fiancé Dave are in for a surprise when the see him full speed at 6am! 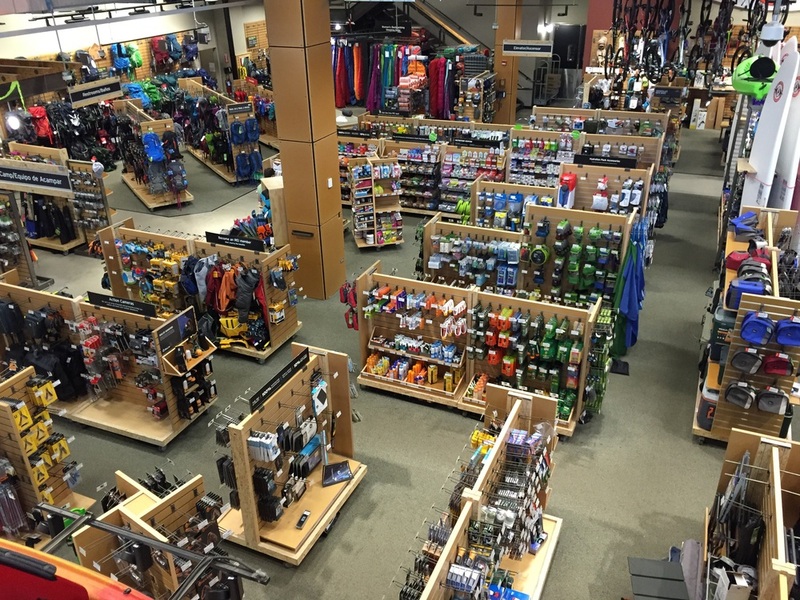 REI has been our home away from home the past few weeks ... I want to tell you all about our new things, but I'm afraid there isn't enough time or space on this blog! Let's just say it's a lot. (sleeping bag, sleeping mat, inflatable pillow, dishes/cook wear, pack, shoes, socks, water purifier, binoculars...) Maybe following the trial run of the new purchase I will do a short review on each. I know when we were shopping, reviews played a big part in making our final decision. REI - soooo many supplies! Laying out the contents of my pack - Not too bad! So I quickly caught on to the main idea - what can be cooked by only adding boiling water? I did my research and created a menu of noodle, rice, quinoa meals. While the dinners are all different, Every morning will start with homemade instant oatmeal with either freeze dried peaches or blueberries. Every lunch is hard salami, soft cheese and crackers. Will we have 2-3 snack bars and plenty of water throughout the day. So we head out tonight! We are leaving this evening and driving to Omaha, NE. This is further than we had planned at the beginning, but now that it's go-time and we're so excited to get there, we think we can handle a more intense driving schedule. Time will tell!